as part of the Shop with a Cop/Trooper program. 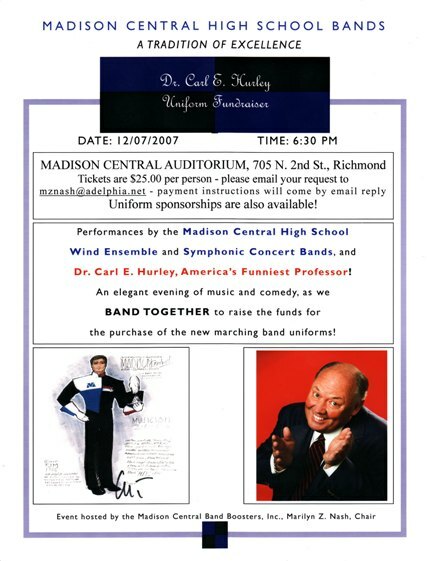 Auction of two pairs of tickets to attend the Madison Central High School Band Performance and Fundraiser for new Band Uniforms. 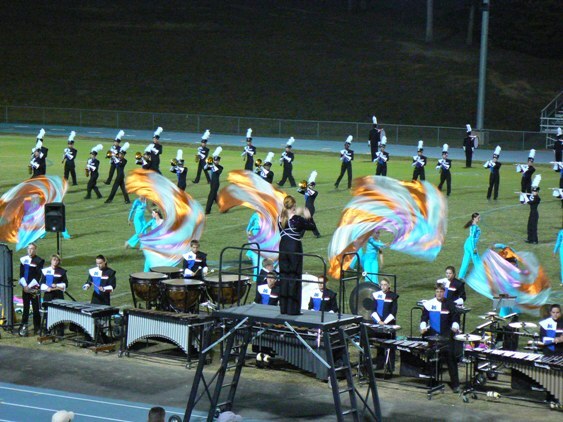 The performance will be at 6:30 p.m. on Friday, December 7 at the Madison Central Auditorium. (At door purchase price is $50 for a pair of tickets..
See information below on program, which includes a performance by Dr. Carl Hurley as well as a patriotic performance by the MCHS Band, the Fourth place AAAAA Marching Band in the state of Kentucky. The Kiwanis Club of Richmond obtained these tickets as a result of providing a $500 contribution toward the purchase of new uniforms for the MCHS Bands after an informative and spirited presentation by H. Brent Barton, Director of Madison Central High School Bands. The funds raised from the auction will be returned to Kiwanis for other children's projects. a recognition award program for students who achieve certain levels of academic excellence. A happy face at the 2007 Richmond Kiwanis Pancake Breakfast which netted $1,700 which the club will use for children's projects. The Kiwanis Club of Richmond invested in their second house of the year as a fundraiser for the club. This house sits on a two acre lot, is fenced and has a garage. Kiwanians have been working to fix up this property for the past month. Jack Bisping, a local contractor and retired Army Colonel, has been the Kiwanian who has devoted the greatest amount of time to reconditioning the property, The following photos were taken at the latest Kiwanis work party on Saturday, July 7.